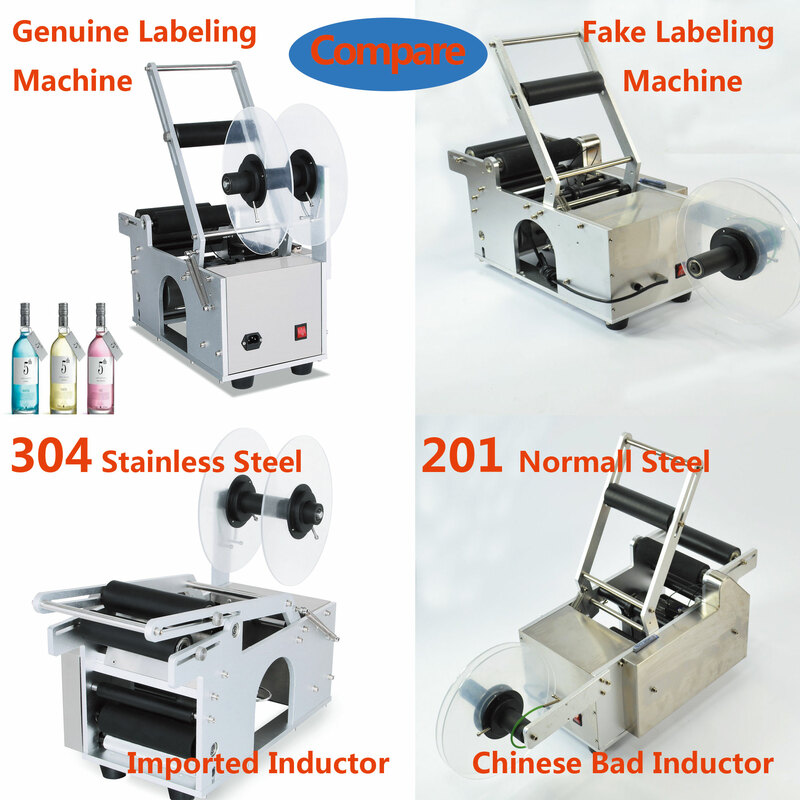 This bottle labeling machine gets ideal effect in actually use in light industries just like food,drink and others,which need pretty package.It brings more standard and quick logo with high cost performance,semi-automatic and handy means that can take less power drain and space.The color ribbon coder is a table type semi-automatic machine,and brings big improvements in work efficiency.With motor and touching control by limit switch and with small volume, which can be suitable for matching with the vertical filling packing machine and used for printing the date of production and batch in the industries of food, beverage, medicine etc. It adopts hot stamp ribbon instead of liquid ink. It can print clear words on any packing materials with the features of simple operation and convenient maintenance.Strict compliance with the instruction manual is part of the requirements of this machine.Moreover,It has a reasonable structure,reliable performance and simple operation with optical detection and accurate labeling. Being based on adhesive material itself,get friction in this period,then adjust to the proper places of labels with awesome accuracy. Save more time than pure human labor,several hours it can continue work too. Outstanding digital programs of control,stable quality won't be disturbed by many subjective factors. Control the label and the case, label, using rubber roller pinned bottle the non-drying label followed the bottle in the bottle and put on rotating. Efficiency is as high as 50 times/minutes. Labeling bottle adjustable, meet different before and after the work piece labeling needs. Labeling affect is good, no bubble, no creases, grade high, to increase product competitiveness. Choose brand and sensor etc electronic components, performance very stable. Modular design,convenient maintenance and repair costs low. Note:For other uses,you should take the professional consult from your manufacturer,strict compliance with the instruction manual is part of the requirements of this machine.The manufacture is not responsible for warranty in such mistaken use as above.